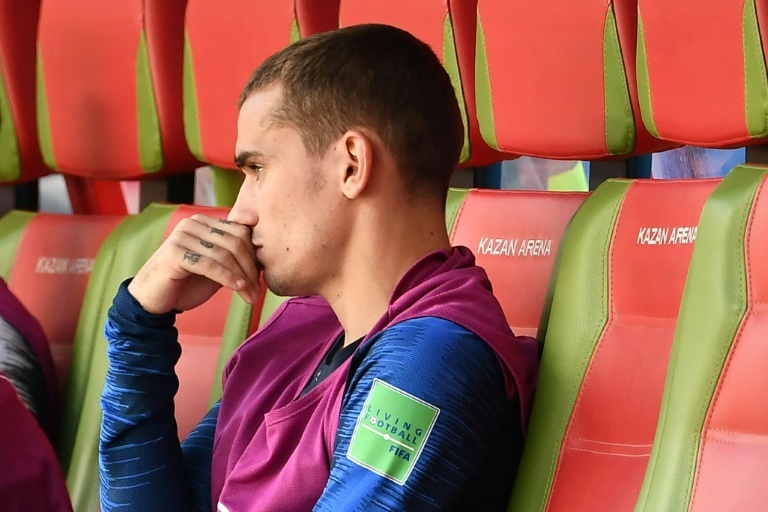 France coach Didier Deschamps said on Sunday his key forward Antoine Griezmann "must do more", after a disappointing performance in their opening 2-1 World Cup win against Australia. The Atletico Madrid star was well marshalled by the Socceroos' defence for long periods on Saturday. He won and scored the penalty that gave France the lead -- the first goal ever awarded at a World Cup with the help of video technology -- but he appeared upset to be replaced by Olivier Giroud with about 20 minutes to go. "Antoine is Antoine, he's our attacking leader and will remain so. Maybe he was a little less good," Deschamps told French TV channel TF1. "That someone is disappointed when he goes off... it was a one-off decision for this match." The 27-year-old Griezmann has scored 21 international goals, including five during France's run to the Euro 2016 final. "It's true that he was a little angry, that's normal. He's a very ambitious player but in the locker room, the (team) bus and the base camp, he was happy," said France left-back Lucas Hernandez, who also plays for Atletico. Griezmann had been widely linked with a move to Barcelona in the current transfer window but said in a video released on Thursday he would be staying at the Wanda Metropolitano. "His choice to stay at Atletico, he made it a month ago," added Hernandez. "The video was released not long ago but in his head he was good, motivated 100 percent."